When a trucking company is sued, typically it is sued on the basis of an employer/employee relationship. The truck driver/employee falls asleep due to fatigue and injures an innocent third party on a highway. 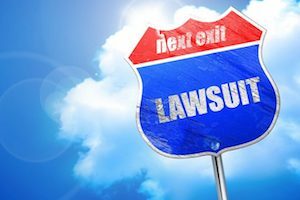 A lawsuit can be filed in such a case against both the employee and the trucking company. Here in Georgia, there is a statute (O.C.G.A. § 46-7-12) which also permits the injured individual to file a direct action against the insurance carrier for the trucking company. The legislative intent here was to recognize that the insurance contract between the trucking company and the insurance carrier, was in reality, a contract for the benefit of the innocent member of the public injured by the trucking company’s employee. Thus, in an accident where an innocent member of the public is injured by a trucking company operating in interstate commerce, the injured individual may sue either the truck driver alone, the trucking company and the truck driver or all three or any combination thereof. For strategic reasons, if the jury knows that there is insurance coverage available to provide redress for the injured victim, this may assist the jury in making sure that the injured individual is adequately compensated for their damages without worrying about the economic impact upon the driver and/or the company. Of course, defense attorneys would argue that the availability of such insurance coverage could drive jury verdicts upwards but, this was considered by the Georgia Legislature when this unique statute was passed. Thus, all practitioners should be aware that they have the right to name in a direct action the insurance carrier at the inception of a lawsuit. In Georgia, this rule is quite different from any other rule because by operation of law as a general proposition, one may never sue an insurance carrier until a judgment is first obtained against the insured covered by the insurance contract. The exception is in the trucking context and in that regard the injured victim does have a right to sue the insurance carrier at the beginning of the lawsuit naming the insurance carrier as a defendant. This option should be exercised in most all cases except where there are legitimate reasons to do otherwise. Because of these unique provisions of Georgia law, again, an injured individual with a claim against an interstate trucking company should confer with experienced counsel as soon as possible to explore all available options. If you need legal help for your accident please contact us today.